How can you make your waiting room better? 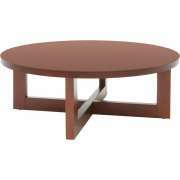 End tables and coffee tables can have a huge impact on the impression your reception area creates. 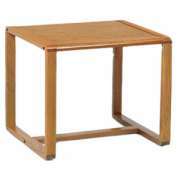 Among occasional tables, there are many different styles to choose from. 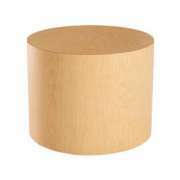 Whether your office has a traditional or contemporary look, you can find a number of excellent accent tables that will complement your décor. 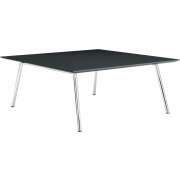 Hertz Furniture brings you an attractive selection of budget-friendly cocktail tables and side tables that will enhance any reception area. 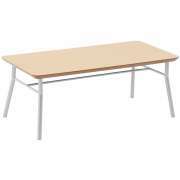 This high-quality office furniture is designed for the enjoyment and convenience of all who enter a workspace. 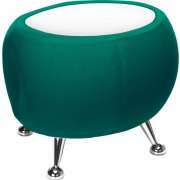 An appealing accent table can add a lot to a waiting room or lobby. 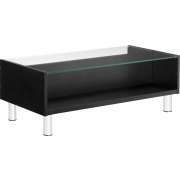 What should I look for in a coffee table? Our coffee tables have a subtle appeal that enhances the style of a room, without adding too much extra excitement into the mix. They are designed to complement reception seating while providing a convenient place for visitors or patients to place their coffee or water while they wait. 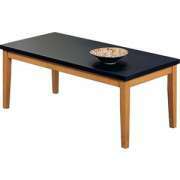 A few subtly attractive tables can make any space more inviting. 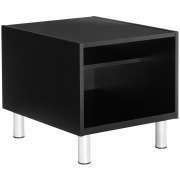 What kind of accent tables should I get? 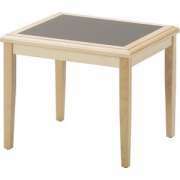 Occasional tables come in a number of shapes and sizes. Ultimately, the right choice will depend on the arrangement of a reception area. Corner tables and end tables provide a nice space for a lamp or small accessories while leaving the space in the middle of a room open. These are excellent options if you have seating lined up along the walls rather than concentrated in the center of a room. A more open space enables everyone to breathe easily and enjoy some quiet time. 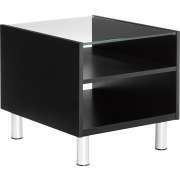 Most accent tables are freestanding, but there are other configuration options. 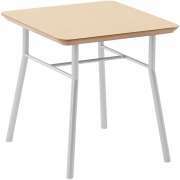 Connecting tables can be attached to two adjacent seats to create a permanent link between them. This arrangement makes it easier to ensure that chairs remain in your ideal setup because it is less likely that others will move furniture out of place. 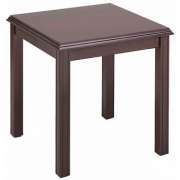 Where is the best place for an occasional table? In a reception area where the seating is arranged around a common center space, putting a coffee table in the middle is ideal. With this setup, a cozy and friendly seating area is centered around the table. Everyone who is waiting in the lobby can share and reach the table. 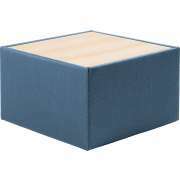 This is convenient because each person can enjoy having a space that is easy to reach to put things down on, but your company doesn&apos;t have to pay for individual end tables between every two seats. 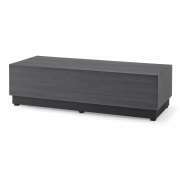 Which companies make good accent tables? 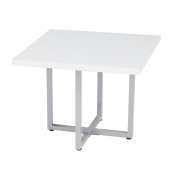 Lesro reception tables offer high-quality elegance in a selection of styles. Their solid wood construction guarantees many years of use and enjoyment while lending an attractive natural appearance to a reception area. 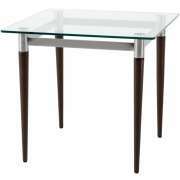 These cocktail tables come in a selection of finishes, including options with complimentary high-pressure laminate inlays for an extra touch of style. With many wood hues to choose from, you can coordinate with reception desks or reception seating. 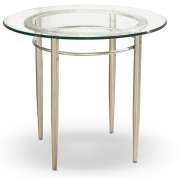 For a touch of timeless elegance, you may want to consider a glass-top occasional table from High Point. 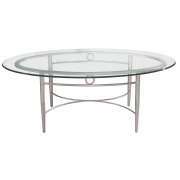 Whether you want a small round model, couch table or coffee table, you can enjoy this appealing style in your waiting room. 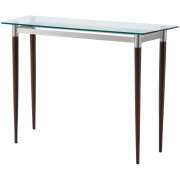 Sleek glass tables will fit in with both contemporary and modern styles to create a professional area that exudes class and luxury. In a reception area or lobby, it&apos;s the little touches of style that ultimately complete a look. With Hertz Furniture&apos;s stately collection of coffee tables and end tables you can add the perfect finishing touches to your waiting area. If you need help deciding which size, style or configuration is ideal for your particular space, contact the Hertz Design Center for free project-planning advice from the experts.